No amount of alcohol is good for you, as study after study has shown. But often people—and the scientists who research them—forget that when they drink, they don’t just risk hurting themselves. They often hurt other people. Yet most of our understanding of the harms of alcohol have focused strictly on the drinker. A new study, published in the journal BMC Medicine, attempts to rectify that. 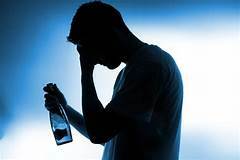 The authors found that thousands of people have experienced physical harm from alcohol consumption in Germany alone, even though many of them have never imbibed a single drop. Figuring out exactly how much harm other people’s drinking causes is tricky. Prior studies have calculated literal dollar costs to society, while others have looked at interpersonal or emotional issues caused by alcohol. Physical harm has been more elusive. That’s why the researchers focused on just one country, instead of many: As they acknowledged in the paper, an analysis of this kind has never really been done before, so they couldn’t hope to provide definitive answers, only a proof of concept. 3. Interpersonal violence – Studies confirm that, out of 135,000 violent acts in their data set, 40,000 involved alcohol. 4. Pregnancy – alcohol can cause all sorts of issues, including stillbirth, low birth weight, and miscarriage.